Best seller once again available! | Welcome to Poesies.com! Best seller once again available! This is one of my favorites, and apparently I'm not alone in that thought! 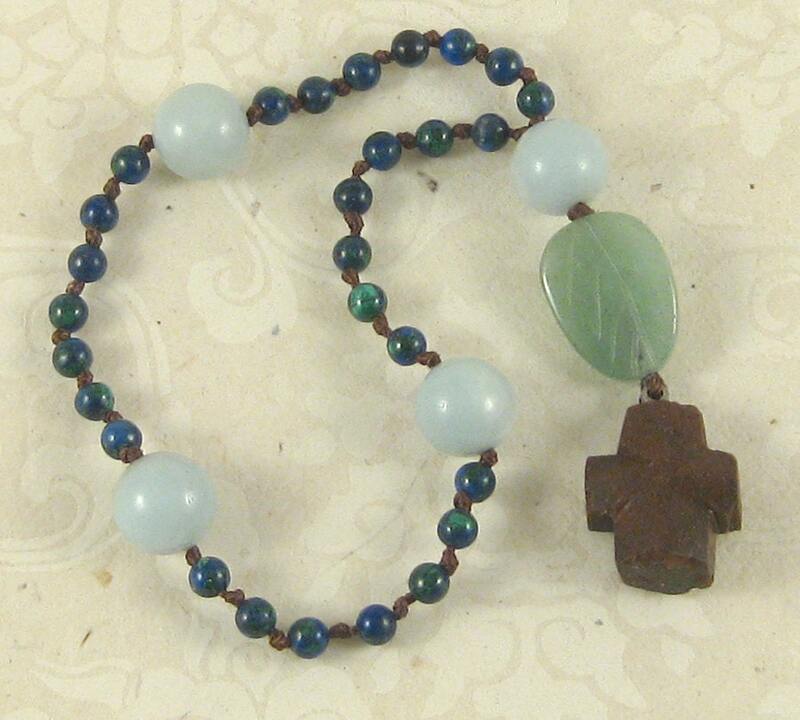 Earth and Sea is an Anglican rosary made with azurite/malachite small beads, amazonite large beads, a green aventurine carved leaf, and finished with a staurolite fairy cross. It is hand-knotted on silk thread. Crusaders took the idea of prayer beads from the Middle East back to Europe with them, and created the Catholic rosary. In the mid-1980's, the Rev. Lynn Bauman created a version for the Episcopalian church. This is the Anglican rosary. More information about this type of rosary can be found at the site of King of Peace church.